The concept of Avatar is unique to Hinduism. It is closely linked to the idea that the source of Hinduism, which is otherwise known as Sanatana Dharma (Eternal Duty), is God himself. In other words, Hinduism was founded by none other than God himself who is known in Hinduism as Brahman or Isvara. The divine knowledge of eternal duties which are enshrined in the Vedas and other sacred texts arises from God only. Since he is the source of Hinduism, he is also responsible for its preservation and continuation, which he does either directly or indirectly through various means. An incarnation is one of them. In the following discussion we will discuss the meaning and significance of the incarnation of God in Hinduism. Avatar in Sanskrit means appearance, manifestation, descent, materialization, or outgrowth. An associated word is avataranam, which means descent or descending into water for bathing, coming down, crossing, translation or metamorphosis. It is also a reference to a holy place, or a place where God or an aspect of him is manifested. A short prayer or invocation which is addressed to God or a deity and which causes him to descend upon earth is known as avataranika. The introduction, preface of a text or a book is avatarani. Figuratively speaking, avatar means a shooting star or the descent of a star (ava + tara) into the earth atmosphere. Thus, the idea of avatar is very much rooted in the secular and religious practices of Hinduism. In the philosophical or theological context an avatar means a manifestation of God upon earth in corporeal form, which can be that of a human being or any living being. As an incarnation, God lives upon earth, goes through the same lifecycle as other living beings to resolve some fundamental problems of existence. It is always to set things right, to resolve some problem, or destroy evil. In a way you may consider it an intervention or micromanagement when we collectively fail or when gods fail us to put our world in order. It is not clear when the idea of incarnation entered the Vedic belief system. The Vedas do mention a few incarnations of Brahma, which were later ascribed to Vishnu. In today’s world, avatar is a very fundamental and popular belief of mainstream Hinduism. Originally, it was part of Vaishnavism. 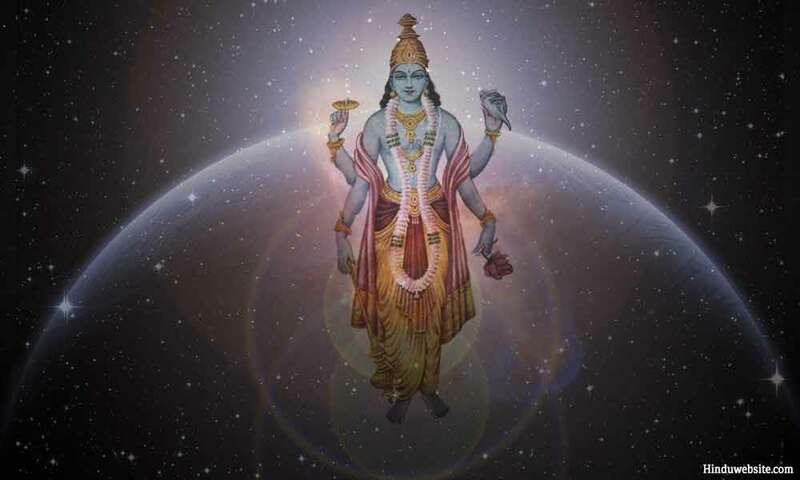 Followers of Vishnu believe that occasionally he incarnates upon earth in various forms as part of his obligatory duty to maintain the order and regularity of the worlds. Each time he manifests upon earth in a living form, it is known as an avatar, which can be either complete or partial. However, the followers of Shiva do not believe that an incarnation of God is necessary. According to them, God’s intervention does not require a special incarnation. There is no need for such an emergency measure since God is omniscient and knows in advance what is going to happen. Therefore, if necessary as part of his duties he may manifest as an aspect or emanation rather than an incarnation. Hence, in Shaivism there are no incarnations for Shiva. His duties of preservation and concealment are carried out either directly or through his numerous aspects. The chief purpose of an incarnation is to restore balance by destroying excessive evil as it becomes bothersome and threatens the order and regularity of creation. Its purpose is somewhat similar to that of a self-correcting mechanism or that of a safety valve. By nature, God is impartial. He does not take sides. He has no desires, partiality, bias or interest whatsoever. However, to keep the worlds going and keep the evil forces under check, he often takes the side of the good and the divine and even engages in a direct conflict. Apart from restoring balance and fighting evil, an avatar has other functions. They are listed below. Restoring and reestablishing dharma or righteousness. Restoring the forgotten or lost knowledge of sacred scriptures for the welfare of the humanity. Restoring and strengthening people’s faith in God and righteousness. Reviving the lost knowledge of liberation or revealing the secrets of creation according to needs of the time. Serving as a role model and a source of inspiration to his devotees. Protecting those who seek his protection against evil and helping them on the path to liberation. Granting liberation to the souls who have completed their spiritual journey. An avatar is neither a messenger of God nor a prophet but God himself in a mortal body. He personifies God and represents all divine qualities. His force in that form is not diminished but may remain concealed. The Bhagavadgita declares that whenever there is an ascendance of adharma (injustice and disorder) and the strengthening of evil, God reincarnates Himself on earth in an embodied state (jiva) to restore balance and reestablish Dharma. Rudimentary idea of incarnation can be found in the Vedas. For example, the Kena Upanishad mentions the manifestation of Brahman as an Yaksha, a celestial deity, before Indra, Agni and Vayu to test their might and teach them a lesson on vanity. As we have already stated, they also mention the incarnations of Brahma and a vague reference to the three strides of Vishnu as Vamana. The idea gained further acceptance with the subsequent developments that took place within the Vedic religion and the rise of Shiva and Vishnu in the Vedic pantheon as part of the triple gods (Trimurthis). Together with Brahma, they represent the triple functions of creation namely creation, preservation and destruction. Of them, Vishnu is the preserver who as part of his functions incarnates upon earth. The Vedas, the Puranas, the Epics and the Bhagavadgita acknowledge the incarnations of Vishnu as an essential and important function of creation to ensure the order and regularity of the worlds and keep the chaos and demonic forces under control. The epic Ramayana is about the life and adventures of Lord Rama, who is believed to be an incarnation or avatar of Lord Vishnu. The Bhagavatapurana and the Mahabharata depict the miraculous life and achievements of Lord Krishna, who is also considered an incarnation of Maha Vishnu. The Vishnu Puranas deal with the major incarnations and manifestations of Lord Vishnu, apart from major events and mysteries associated with creation, and the conflicts between gods and demons. Technically, all living beings are incarnations of God only, since the soul or the Self is an aspect of Brahman and identical to him in all aspects. However, there is a fundamental difference. The incarnations of God are full-fledged. He manifests all his power and knows inherently his divine purpose upon earth. In contrast, the living beings are subject to the impurities of egoism, delusion and attachments. Vaishnavas believe that God not only incarnates as a living entity but also in image form as a temple deity. Every image of God is a living form God (arca) which become increasingly divine in proportion to the offerings he receives and the number of devotee who worship him. An incarnation of God is also different in many respects from a manifestation (vibhuti) or an aspect (amsa) of God. Practically, everything is a manifestation of God. A manifestation may or may not be aware of its divine nature. Its purpose may be limited in scope and influence, and it may represent only some qualities or aspects of God such as his knowledge, intelligence, power, wealth, beauty, aura, grace, etc. Secondly, a manifestation of God may happen with or without a form. For example, it may happen in the dream world or in another world, not necessarily upon earth, whereas an incarnation always happens upon earth and in corporeal form only. The Puranas describe ten main avatars or incarnations of Lord Vishnu, of which the last incarnation is yet to manifest. The ten incarnations are briefly described below. Matsyavatar (The incarnation as a fish): The purpose of this incarnation was to save Manu (the first born) and the seven sages from a deluge that inundated the earth. Kurmavatar (The incarnation as a tortoise): In this incarnation Lord Vishnu held the mountain named Mandhara on the back of his body as a giant tortoise to enable the gods and demons to churn the ocean for Amrit or the elixir of life. Varahavatar (The incarnation as a boar): In this incarnation he appeared as a giant boar to slay the demon called Hiranyakasipu and save the earth which was submerged under water due to a great flood. Narasimhavatar (The incarnation as part man and part lion): The purpose of this incarnation was to slay Hiranykasipu and rescue his son, Prahlad, who was an ardent devotee of Vishnu, from the cruel torture to which he was subjected by his father. Vamanavatar (Incarnation as a dwarf brahmin): The purpose was to assist and help Indra to retain his lordship over the heavens by eliminating his rival Bali, the famous demon king from the competition. Parasurama: In this incarnation, Vishnu appeared as a warrior sage or Brahmana to destroy the Kshatriya clans who became increasingly evil and disorderly and restore the order and regularity of the world. Ramavatar: During this incarnation, Vishnu appeared upon earth as Lord Rama, or a perfect human being, to exemplify human virtues and slay the demon king, Ravana, who became increasingly oppressive with the boons he obtained from Brahma and Shiva, He slew him with the help of his brother Laksmana, a huge army of monkeys and several great warriors including Hanuman, Sugriva and Angad. Balarama: This incarnation does not appear in some versions. In this incarnation, Lord Vishnu manifested as the elder brother of Sri Krishna to kill the demon king Dhenuka and the ape Dvivida. With the help of a mighty plough, which was also his weapon, he changed the course of the River Yamuna to divert its waters to the parched lands and facilitate cultivation. Srikrishna: This is one of the most popular and well-known incarnations of Lord Vishnu, which was made further popular by the epic Mahabharat and the Bhagavadgita. In this incarnation he slew many demons including the notorious Kams. He also played an important role in the Mahabharata war by supporting the Pandavas. The war led to a great destruction. He was also a great philosopher and scholar. His teachings are now available to us in the Bhagavad-Gita, which is currently a great source of inspiration to millions of Hindus. Kalki: This incarnation is expected to take place in future at the end of the current epoch known as Kaliyuga. It is said that at that time he would manifest as Kalki (a fierce form of Death), riding upon a white horse. He would destroy all the evil people and save the world from their sinful excesses. In the end, he would usher in a new age of Truth and herald the beginning of a new cycle of creation. The above ten incarnations are among the most commonly known and traditionally approved incarnations of Lord Vishnu. Some variations are also worth mentioning. In some version, instead of Balarama, we see the inclusion of the Buddha. The Puranas suggest that Vishnu appeared as the Buddha to mislead the people and sow seeds of doubt in them about the existence of God, thereby preparing the ground for their downfall and destruction. Historians believe that Buddha was included in the Hindu pantheon as an incarnation of Vishnu to dilute the importance of Buddhism and subordinate it to the Vedic theism. Whatever may be the reason, the idea that Buddha is an incarnation of Vishnu is not universally accepted. Many Buddhists dispute it. Apart from the Buddha, some versions include other deities namely Hamsa, Satvata, Yagna, Dattatreya, and Vedavyasa. However, some scholars tend to regard them as part of his partial manifestations (amsavataras). The tradition also recognizes the following deities as the partial manifestations of Lord Vishnu, Kapila, Hayagriva, Dhanvantari, Mohini and Nara-narayana. Each of them played a significant role in the development of Hinduism and its ancillary branches of knowledge. As stated before, the popular tradition does not ascribe any incarnations of Brahma or Shiva. It is because of the three gods only Lord Vishnu is responsible for the preservation and continuation of the worlds and beings, which at times requires his direct intervention and necessary corrective action. Both Brahma and Shiva credited with many manifestations, but they are not considered incarnations but only aspects or emanations. Indeed, most Hindu gods have numerous manifestations. For example, Brahma, Vishnu, Shiva, Shakti, Lakshmi, Saraswathi each has at least a thousand names and each name is either a form, manifestation or relational aspect of the respective deities. An incarnation is an exception rather than the rule. According to the scripture although God is the essential cause of creation, he does not directly participate in it. He remains in the background as the enjoyer and a passive witness. The only exception to this is when he incarnates upon earth. As an incarnation, he becomes an active player in the drama of the world. Even then, he still requires the active participation of his Shaktis. Hence, each incarnation of Lord Vishnu is supported by a concurrent incarnation of goddess Lakshmi, His consort and principal Shakti. She is the goddess of opulence and abundance and the source of his strength and dynamism. Because of that, for each incarnation of Vishnu we have a corresponding incarnation of the goddess. The following are the principal incarnation of Lakshmi which followed the incarnations of Vishnu. Varahi incarnated along with Varaha, Padma or Kamala with Vamana, Narasimhi with Narasimha, Dharani with Parasurama, Sita with Lord Rama, Rukmini with Sri Krishna. All these incarnations of Lakshmi are worshipped by devotees. 1. Although God is impartial, indifferent and without attachments, he is not a mere passive witness, but an active and dynamic force who keeps a firm hold upon his creation. As the lord and controller of the universe (Isvara) he promptly responds to situations which undermine the order and regularity of the world and challenge his duties. 2. An incarnation of God exemplifies the importance of obligatory duties and the need for karma yoga or the yoga of selfless and desireless actions. Although God has no purpose or desire, he still engages in actions and if necessary incarnates upon earth to restore order. 3. An incarnation of God also points to the need to remain on guard in the mortal world and stay free from evil. We cannot live irresponsibly or let the evil increase in our minds and bodies. We have to vigorously fight to keep ourselves pure and serve God as his devotees by doing our part in preserving the order and regularity of the world and upholding Dharma. 4. An incarnation gives us the hope that we are not alone in the world, and we will not be deserted by God at any time. He is our lord and protector who keeps a watch over us. In dire situations he manifests in our lives in various guises to help and protect us from adversity, evil and chaos. 5. Just as there are incarnations of the Cosmic Being in the macrocosm, there can be incarnations of God within the microcosm of a living entity. At times, God may descend directly into our dreams or our consciousness to deliver a message, cleanse our minds and bodies, bestow his grace or grant liberation. Many devotees whose minds are absorbed in the contemplation of God and who devote their lives to him experience his direct intervention in their lives. 6. An incarnation serves as a role model for the humans. Through his life and deeds he exemplifies virtues such as purity, nonviolence, detachment, truthfulness, non-covetousness, self-control, austerity, humility and so on, and suggests how humans should live upon earth, uphold Dharma, cultivate divine qualities and regulate their lives with righteous conduct. 7. The incarnations of God also point to the significance of mortal life in the battle between the good and the evil forces and the how the earth plays an important role in the destiny of the worlds. Just as the earth, the mortal body is also considered the Field (kshetra) in which the divine and demonic entities wage a continuous war with God as the witness and Nature as his force. In this battle human beings have a huge responsibility to lead the world in the right direction and help the gods in their fight against the evil forces.